If you plan a trip to Cape Town, South Africa, you should be aware of the wind. That’s not a joke. The most recognizable characteristic of Cape Town is the all year round blowing, non-stop flushing and just time-to-time calming down wind. When I heard the stories for the first time, I thought those were just legends, myths, fairytales, because physically it’s inexplicable to have daily permanent, strong wind. Well…in Cape Town it is. The locals believe February is the month of the year with no wind. I was there in February. The wind was still there, but I should to admit it, I experienced some almost quiet days. It was a real relief after the horrifying moments I faced in January. Just bear in mind January and February in Cape Town are the peak of the summertime in the Southern hemisphere. I still remember one Sunday in the very end of January. I was planning an escape to the beach, but literally was unable to go out of my apartment. Firstly, because I was truly frightened by the noise of the furious wind outside, which was trying to break my windows. Secondly, when I bravely took a step out, I felt threatened to be blown away. And I am not even skinny. Once again it was happening in the middle of the South African summer. I was told by my hosts, that Sunday wind I experienced, was nothing and it could be easily beaten by the one blowing in the Cape Town winter, which lasts from June to August. In addition, the winter one was combined with daily rain and much lower temperatures (never dropping under plus 7 degrees C though). The Capetonians describe their daily routine as stormy. I have never been in the “mother city” (as they call Cape Town) during the winter and seems like I should be grateful for that. I guess the easiest explanation is that Cape Town was built on a peninsula, just at the point where Atlantic and Indian Ocean faces each other. There is no shelter to prevent the wind, except Table Mountain, considered as a guardian of the city. Capetonians are kind of used to the wind, but for a random visitor like me, it was a remarkable experience. They generally consider the weather in this area unpredictable. It’s likely to have sun and lovely weather on the one side of Table Mountain, but at the same time showers and wind on behind. You never know which side what weather holds. I was also told a secret, that maybe (but just maybe) the clouds and their movement could predict the weather, but only for the next a few hours, so it’s kind of a short term unstable forecast. The clouds are the other stunning view over Cape Town. 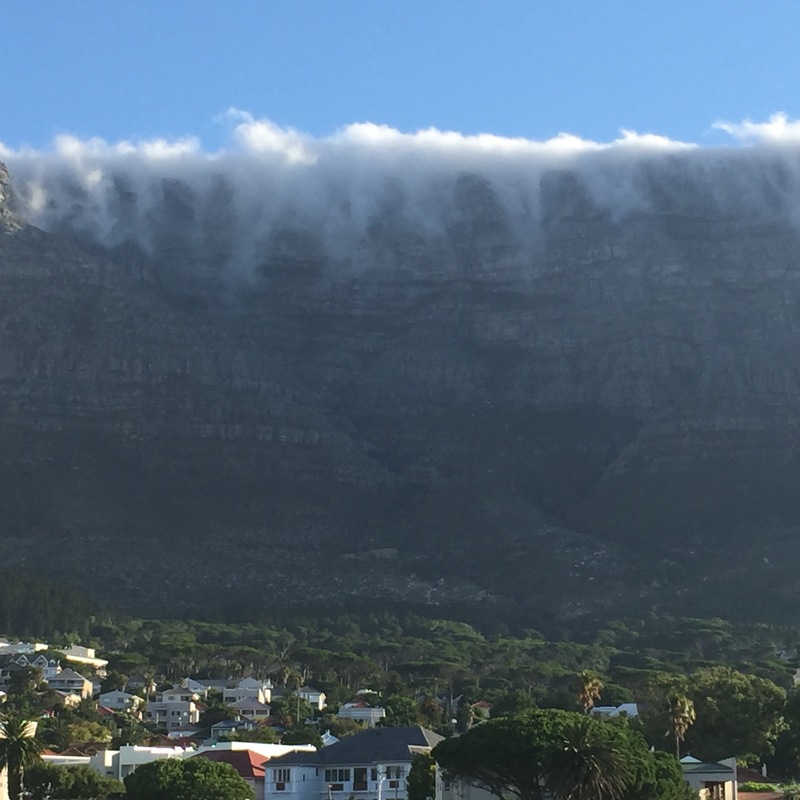 Sometimes they fall from the top of Table Mountain as an avalanche and you can watch this phenomenon for hours. The “falling” clouds predict the upcoming stormy wind, which is going to blow unstoppably for the next 3 to 4 days. I used to observe this event directly, right from my window. You feel insignificant and paralysed. It was like an action movie from the future, very scientific. I felt blessed of being its witness. I guess the same is the emotion when a tsunami comes up. You are aware of being in danger, but cannot move and take your eyes off, just worshiping the incredible power . In my case there was no threat, but the feeling was so, like something extraordinary was going to happen. 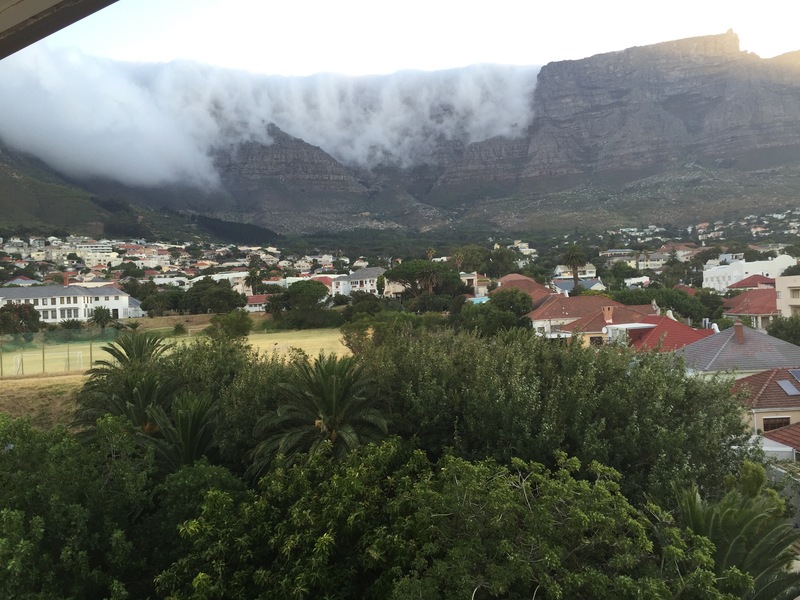 There is a local legend how those clouds were brought to the Table Mountain. The legendary Dutch pirate Van Hunks, who was a passionate pipe smoker, challenged the Devil in a smoke contest. They smoked for weeks and eventually Van Hunks won. As a consequence from the contest, they formed tablecloth cloud, covering the mountain. The legend says it happened in the early 18th century, but the clouds from that smoking competition remain even nowadays. They were much more visible during the wintertime. 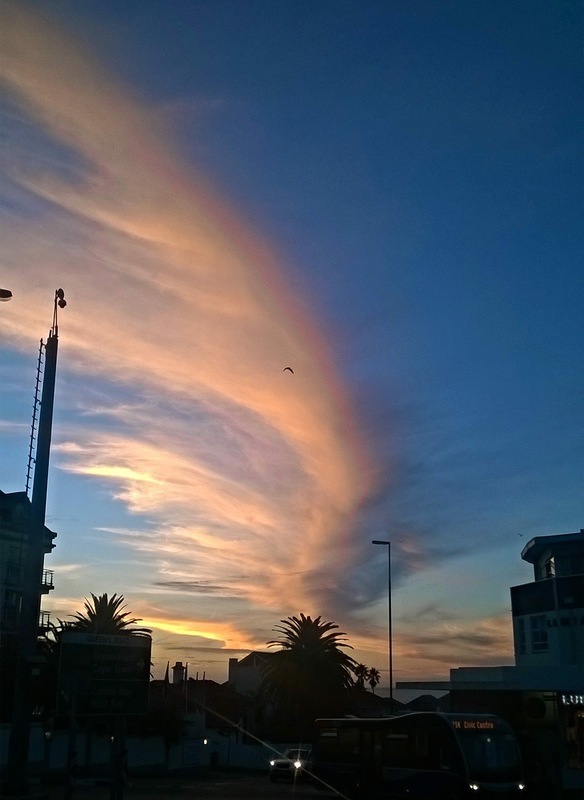 The whole day blowing wind builds stunning scenery in evenings, when Cape Town sky could be watched, painted in weird colors and covered by bizarre looking clouds. They are so unusual, that it’s doubtful if they exist or are just an eye illusion. Some of them look kind of scary. Some are able to form words in the sky, which is hard to believe. 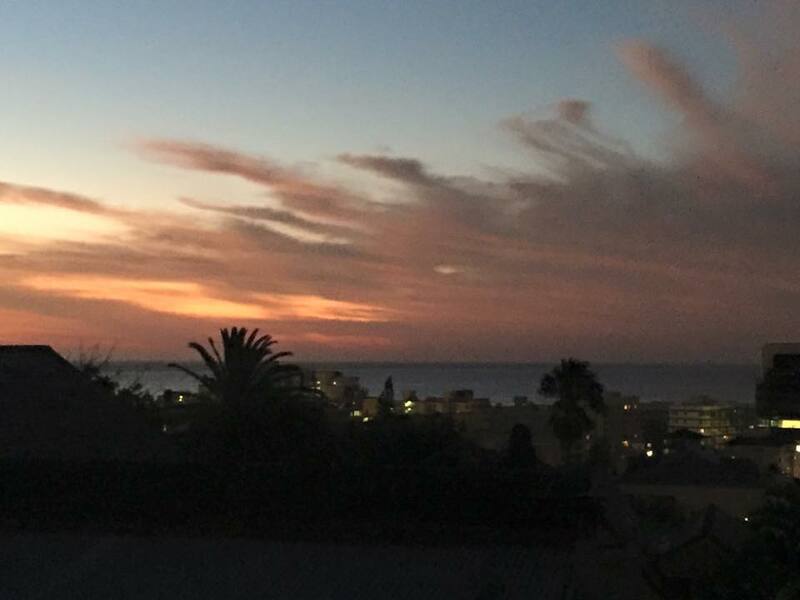 My own experience, near Cape Town in Scarborough, verified the cloud word technique. 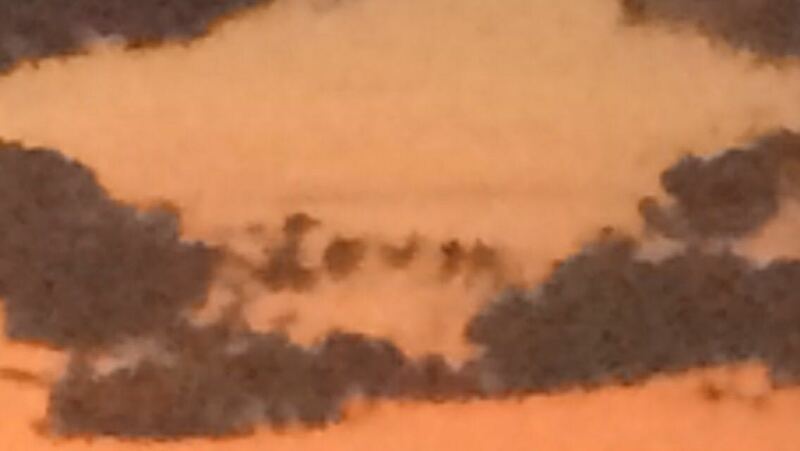 Just after sunset, the clouds shaped the word LOVE. Could you see it at the picture above too? I am a dreamer indeed, but in this case the fact speaks itself. 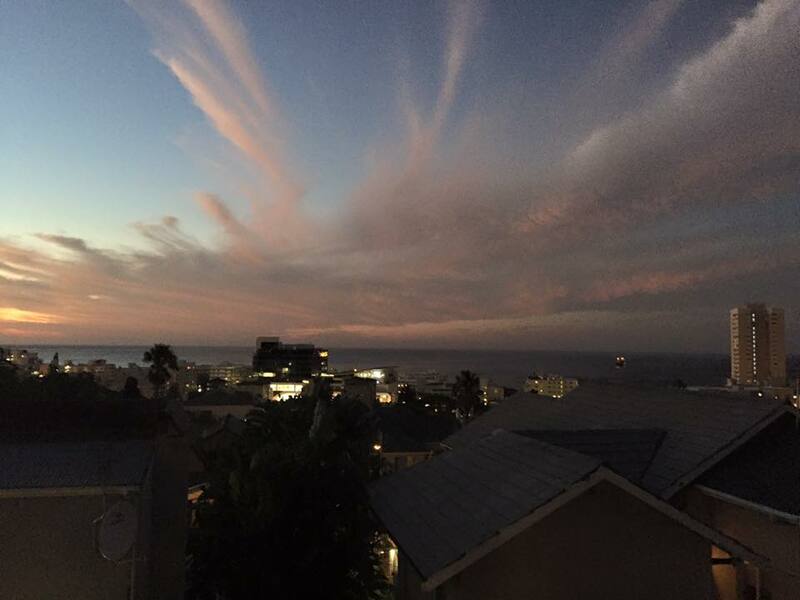 Also my first night at Fresnaye, Cape Town, an area located on the seashore, was full of “cloudy” emotions. It was a sky spectacle, I was watching from the wooden deck of the house. I have never seen such clouds before. The view was magical and made me feel a bit scared if tomorrow ever comes. I accepted it as a superstitious sign of some not really good upcoming events. Nothing happened next day, so I learned to enjoy the weird sky views till the end of my stay in Cape Town. The wind is so important feature of Cape Town, that even influences the property market. There are slightly unwind arrears in and around Cape Town. Bantry Bay and Tamboerskloof neighborhoods are famous for their almost lack of wind. Partially Clifton could be considered free of wind too (not really). Combined with stunning views to the ocean and to the city bowl, the properties at those areas keep their price sustainably high. The owners are considered spoiled for living at a no windy spot. The residents of Fresnaye claim to be lucky as well, but if you see how bend are the trees in there, it gets clear the wind is really strong in this neighbourhood. Obviously the wind is a price-forming segment at Capetonian property market and the lack of wind could increase the home value. Be aware of the threat of sunburn!!! Having daily blowing wind is likely to get sunburnt quicker, so count on sunscreen SPF 30+ and 50+, applying it every two hours. I know what I am talking about, get experienced in a hard way. Forget about umbrellas and count on raincoats. Raincoat is a better protection in a fury combination of rain and wind. Check the clouds, falling down from the top of Table Mountain. It’s an 80% secured prediction for windy weather in the next few days in a row. If you experience an unpleasant windy day, with sand, blown to your face, simply move to the other side of Table Mountain. You could be surprised by much calmer and sunny weather. In case you are an admirer of extreme and dare to jump in the mid of the clouds, get the Cable car, which lifts up to the top of the mountain. You suddenly loses the sense of gravity, floating over the clouds. Buying or renting a house/flat in Cape Town, be aware of the areas with no wind, they are more expensive, but it’s worth it. If you don’t have any information about the windiest areas in the city, just check on the trees around. Most of the trees are terribly bend and deformed by the wind, mainly south inverted. It can’t be mistaken, especially at Sea Point. Take a pareo or long sleeve clothes, when going to the beach. Sometimes wind could be really harsh, even on hot days. Make sure all your belongings are safely packed in a purse or handbag, tied over your waist or clicked to your belt/neck. Otherwise you would likely misplace them, if the wind plays rough.